More than ever before, we are entering a time period where more and more people are choosing to teach themselves a foreign language. With this in mind, we at Languageholic have chosen to find and rank the best language learning software programs for the top 10 most studied languages in the US. As we explain later many of us are visual learners. With that in mind we have created a quick interactive chart of the best language learning software for each language. In the chart are the top 10 most studied foreign languages for native English speakers and some facts on each. As you can see each of these language programs has different pros and each has it’s own difficulty level based on how hard it is to learn. Why Different Programs for Different Languages ? 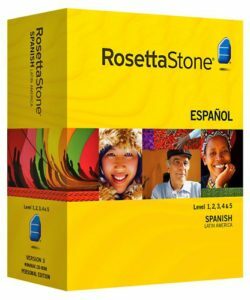 While those who are new to language learning software may instantly think that Rosetta Stone is the best language program for all languages, this is simply not true. While Rosetta Stone is in fact one of the top language learning software for SOME languages, it is not the best for all languages. In fact many people like other programs such as Pimsleur, Rocket Languages and others as they feel this language software fits their needs more. The reason for the difference is the learning curve and requirements that some languages have over another. For instance, the English language tends to be much harder to learn for Spanish speakers, more than Spanish is for English speakers. This has to do with a number of reasons, but mainly because English has so many tricky rules with the language and so many words do not sound like they are spelled. Like any other learning tool, the software utilized for each of these programs may be better or worse for one person or another depending on their particular learning style. For a quick rule of thumb, here is a list of how people learn and how you may fall into each particular category. While there are various subsects of each learning style the three basic learning styles are auditory, kinesthetic and visual. Here are some of the main traits of each below. Visual- Like to read tables/ charts (see above), usually quiet, plan ahead, likes to see things done, flashcards/ charts, etc. While not too many people fit into an exact learning category, most people with certain characteristics will likely have multiple attributes in the same category. Unlike picking the best appliance or household good, where there are usually clear options, choosing the best language learning software program that fits your needs depends mainly on what your needs are as a learner. Combining the needs of the individual with past knowledge, purpose of learning a new language and the time constraints/ time to learn for the individual it is easier to find a learning program that fits your particular needs. What we have done is scour the Internet for reviews and done our own in-house reviews to find out which programs are the best for a particular language. We will give these language learning program reviews below and a justification of why we chose this particular program. Let’s take a look and see. Instead of listing the best language learning programs overall, we will list our favorites for each particular language. Below are our language learning software reviews for the 10 most studied languages. The list below in alphabetical order. Difficulty to Learn Arabic: Right behind Mandarin Chinese, Arabic is one of the hardest languages to learn (9 out of 10). 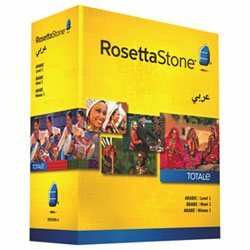 Rosetta Stone Arabic Review: No vowels and multiple styles of writing make the Arabic language one of the hardest languages in the world to learn for English speakers. With that being said, those who do learn it are often paid handsomely if they land a military or government job. The Arabic language is a highly marketable language to learn as many government job opportunities open up on a daily basis for those who are fluent in Arabic. Due to the United States constant military presence in Middle Eastern countries, many Arabic speaking jobs are among the most lucrative for those who can master the language. Rosetta Stone Arabic is our choice for the best language learning software for learning Arabic. Here is a look at why we chose this program over the others. Excellent Customer Service: Similar to the most popular brand in almost any niche, the Rosetta Stone company is both loved and hated by language learning teachers around the world. One thing that being the top selling software provides is an excellent customer service that comes with the program. This allows users to interact with other native speaking Arabic speakers, which is a huge asset to this program. Voice Recognition Software: Adding voice recognition software to the Rosetta Stone Arabic software has been a huge help in getting more people to buy into using Rosetta Stone. Because Rosetta Stone is very different than English when spoken, the voice recognition software aides in helping others learn the right way. Total Immersion Learning: While there are pros and cons to fully immersing yourself into a language (similar to how children learn), Rosetta Stone is an advocate for this type of learning. With immersion learning, users are “thrown into” the language and must learn. This is helpful for those learning Arabic as it is very different than the English language. Many military and government jobs that are looking for Arabic speakers, prefer those who can show they know language by engaging in conversations. While often getting a bad rap among the language learning community, we feel that Rosetta Stone Arabic is the best language learning tool for Arabic language. The two biggest difference makers are the voice recognition software and the total immersion learning that make learning Arabic easier. Rosetta Stone French Review: After speaking with many of our colleagues in the language learning community, we feel that French is the easiest language to learn for English speaking people. 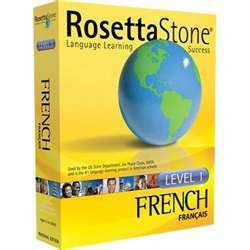 We feel that Rosetta Stone French is the best software program for learning French. The Rosetta French program is not only one of the best language learning programs for French, but one of my favorite overall programs. Because we feel that French is the easiest language to learn, we feel that someone who works with Rosetta Stone for a month or two can easily master the language with 10-20 hours of work a week. One of the main reasons that we love the Rosetta Stone French program is that it is the best French fluency program on the market today. While many people do enjoy learning all of the ins and outs of the French language, most want to do so specifically for travel and to be able to talk. Great for Auditory Learners: One of my colleagues in the language learning industry is former French professor Jeff Bennett. Bennett feels that the Transparent program is among the best for auditory learners due to the vast audio collection and ability to work with native speakers. “The audio lessons are what separates Rosetta Stone from the field, as hearing French by native speakers is way more important than reading French”. Built for Visitors: While not built solely for travelers, Rosetta Stone French was built with the tourist in mind and after only a week or so of learning, many people feel comfortable with basic French phrases for use while traveling. Can Learn While Traveling: Rosetta Stone can be used on a variety of different electronic platforms and can be taken on the go. Many people choose to listen to Rosetta Stone in their car, in between classes at school or on their lunch break, which frees up more time for other activities. While some people give Rosetta Stone a bad rap or wonder if Rosetta Stone really works we feel that the company has grown leaps and bounds in recent years. The Rosetta Stone French program is a great language learning program for those looking to learn the French language quickly and without the fluff that many other programs offer. Fluenz German Review: Known as one of the most popular languages to learn decades ago, more and more American have chosen other languages besides German to learn in recent times. With that being said, German is still an important language and still cracks the top 10 languages to learn for Americans. One thing that can be easily heard with older German speakers is their thick German accent. Our pick for the best language learning software for German is Fluenz German. Here is why we like the Fluenz German program. Quick to Master: Fluenz is broken up into multiple sessions with about 30 sessions each. While this list seems extensive, it can be completed quickly for those who take several days to learn the language. Because of this, users can master German at their own pace, which is usually quick. Grammar Broken Down: Fluenz focuses a lot on breaking down grammar into easy to retain chunks. Many people feel that because of the similarities between English and German that audio learning makes learning easy, Fluenz is great at that. Great for Travelers: For those looking to learn German as part of their European travel plans, we feel that Fluenz German has a quick learning curve. Focusing on many important German phrases, many brand new German language learners can pick up key phrases in no time. Learning German is generally a quicker learning curve for native English speakers compared to other languages. The Fluenz German course is a great resource for allowing users to learn key phrases at quick pace. Rocket Hindi Review: Another of the most widely used languages worldwide (thanks mainly from India) is the Hindi language. While Hindi is written quite differently than the English language, many English speakers will find a lot of similar words spoken in Hindi. Because of the visual requirements of learning Hindi, we feel that the Rocket Hindi software program is the best that we have used. Hindi is a hybrid language because of it’s similarities to the English language on one hand, while being visually totally different. Let’s look at why we feel that Rocket Hindi is our top pick. Great Learning Lessons: Because of the hybrid nature (visual/audio) needed to learn the Hindi language we feel that Rocket Hindi Premium offers the best lessons to meet both of these learning methods. 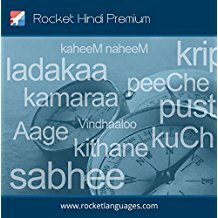 With the emphasis on visual learning and many of the words and sounds similar to the English language, we feel that the Rocket Hindi Premium is one of the quickest ways to learn Hindi. The Survival Kit: One of the best features about Rocket Hindi Premium is the “Survival Kit” section that is offered. In a nutshell the survival kit helps you focus on the essentials of learning the Hindi language, in this case being days, food, clothing, body parts and other “basics”. Focus on the Devanagari Alphabet: Perhaps the hardest part about learning the Hindi language is being able to write the Devanagari Alphabet. While many phrases and words tend to sound similar to English, the Devanagari Alphabet is completely different. Rocket Hindi makes sure to cover that extensively and allow both reading and writing of the language to help the user understand. Learning the Hindi language can be a steep learning curve for some due to the complete different alphabet. While this may deter some from learning this language, the Rocket Language program makes sure to cover the Devanagari Alphabet in great detail. Fluenz Italian Review: One of the most popular self-taught languages in America is Italian. More and more Americans with Italian ancestry have looked to learn the language of their ancestors. Also, many English speakers have picked Italian speaking countries such as Italy, Romania and Switzerland as part of their European vacation tour. Like French, Italian is one of the most popular languages for learners who want to learn how to conversate and learn basic phrases before traveling. Fluenz Italian does this and more. Let’s take a look to see why we love Fluenz Italian. Uses Multiple Styles of Learning: One reasons that we love the Fluenz Italian program is that it appeals to all styles of learners. While most programs tend to focus on auditory lessons, Fluenz Italian benefits learners with kinesthetic and visual learning tendencies. Great for Travelers & Employers: While the majority of people learn Italian for traveling and/or heritage reasons, more and more people are learning Italian for business purposes. Employment websites are filled with jobs for those who are fluent in a language, Italian is one that has been gaining steam in the last few years due to their influx of businesses and people moving to living in Italian speaking countries. 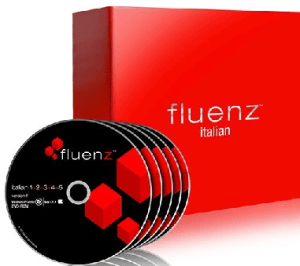 Teaches Real Italian Talk: Unlike traditional classroom settings that focus on teaching the language slowly, Fluenz immerses learners directly into the language and teaches them real-life words and phrases. Many users who work with Fluenz for just a few weeks will feel comfortable traveling and conversing when traveling to Italian speaking countries. 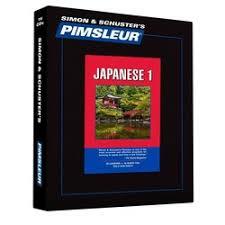 Pimsleur Japanese Review: The Japanese language is often brought up on the list when people ask what is the hardest language to learn. Many people have trouble with Japanese due to the symbols and writing style that are very different from the English language. After reviewing several language learning programs, we feel that the Pimsleur Japanese program is the best language learning software for Japanese language. One thing that sets the Pimsleur approach apart for the Japanese language is how it appeal to visual learners. Unlike other languages such as Spanish or Italian, where one can sound out most sounds, learning Japanese is completely different due to the fact that the writing portion is completely different for native English speakers. The Pimsleur Japanese program does its best to provide plenty of visual instruction as memorizing the letters and words of the Japanese alphabet are by far the most important part of the language. Let’s take a look at why we put Pimsleur on top. Very Interactive: One reason that many people love the Pimsleur Japanese course is that the interactive version requires the user to interact quickly. While some courses let you learn at slower paces, the Pimsleur Japanese program makes you respond quickly and forces you to respond appropriately in that time frame. Great Program for Business: Typically people who learn languages do so for 1 of 3 reasons. Traveling, Work or Business. The Japanese language is more and more geared towards the English speaking business person who travels to Japan. While the United States is getting more and more populated with Japanese speakers, most Japanese-Americans have learned some English as this is highly taught in their country. On the other hand more and more English speaking businesses will hire people who speak Japanese to work with our allies overseas. Faster than Most Language Learning Programs: While all of the programs we review are self-paced, the Pimsleur approach people to be pushed into learning a language more quickly. The lessons and interactive program require users to not only learn the content, but also do well before they move on to the next section, this is something that many programs simply don’t provide. Businesses who purchase the Pimsleur Japanese program for their workers love the results. With a highly structured program, learners are pushed to learn a new language at a faster pace than some of the other language learning programs for Japanese. Difficulty to learn Mandarin: Mandarin Chinese is one of the hardest languages to learn (10 out of 10). 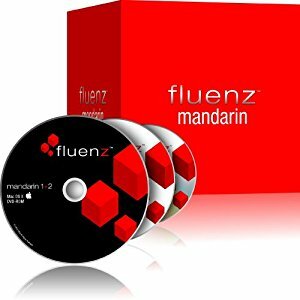 Fluenz Mandarin Review: Many people often ask what is the hardest language to learn for English speakers? Most agree that Mandarin Chinese comes near the top of the list, if not the hardest language to learn all together. Because of a totally different talking and writing style, many English speakers have trouble learning the ins and outs of the Mandarin language. With that being said, the opportunities for those who speak Mandarin Chinese grow daily. The Chinese Language and in particular Mandarin Chinese is easily the most spoken language in the world. Because of the rapidly growing population of China, this language has easily become the most spoken in the world. More and more native English speakers have chosen to learn Mandarin Chinese for a variety of reasons. Because this is the most widely spoken language in the world, those who speak the language have become highly sought after by employers and businesses all around the world. Like the Japanese language, Mandarin Chinese requires a totally different learning curve than many European languages. With unfamiliar letters, numbers and overall style, Mandarin Chinese requires an intense course that must encompass various learning styles. When learning this language, we feel that Fluenz Mandarin is the best learning software on the market for accomplishing these goals. Here are some of the reasons why we chose Fluenz over the others. Rigorous Learning: Compared to other languages, Mandarin Chinese involves learning not only new words, but also a completely different alphabet, four different tones and various characters that complete the Mandarin Chinese language. Fluenz 1 + 2 + 3 program tackles all of these “new” concepts while also keeping things simplified. Focus on Correct Pronunciation: Besides letters and characters one of the distinct difference between learning Mandarin Chinese and other languages is the pronunciation required for learning. Fluenz Chinese focuses a ton on this and also has many exercises that work on pronunciation. Great for Visual Learners: Because Mandarin Chinese is heavy on visual learning having a nice visual layout is a great benefit to the learner. Fluenz Chinese offers a beautiful presentation and software to match a great learning course. This dynamic layout may be what sets Fluenz out the most among other language programs. Overall when learning Mandarin Chinese it is important to find a program that works well for visual learning. 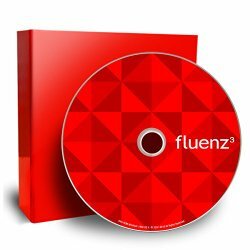 The Fluenz Chineses program is our pick for the best language learning software for Mandarin Chinese due to the fact that it offers both a great comprehensive program and is visually appealing at the same time. 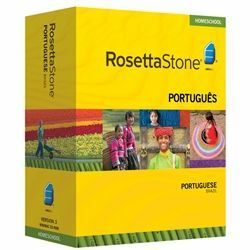 Rosetta Stone Portuguese Review: Based off the Latin writing system, the Portuguese language is the official language of Portugal and Brazil, along with several other smaller countries around the world. In recent years the Portuguese language has grown in popularity among English speakers as many have traveled the world to work and travel. Rosetta Stone Portuguese is our top pick for the best language learning program for learning Portuguese. With a simpler structure than English, Portuguese is one of the easier languages to learn, especially for those who have studies Spanish. Let’s take a look at the pros of the Rosetta Stone program and why we chose this as the best language learning program for the Portuguese language. Downloadable Lessons: Typically most self-learners choose to learn Portuguese because of travel to other countries. What makes Rosetta Stone great for this is that it offers downloadable lessons so that one can learn wherever they are at, whenever they want. The ability to download these lessons on various devices makes listening and learning available almost everywhere. Live Tutoring: One of the things that sets Rosetta Stone Portuguese from the pack is the availability of live tutoring from real native speakers. For those who are auditory learners, the ability to speak and interact with native speaking Portuguese speakers allows the learner to not only ask questions, but also mimic sounds from these tutors. Portuguese Stories: Rosetta Stone’s authentic Portuguese stories are a great learning tool for those who are learning the language. Reading real-life Portuguese stories are one of the better ways to learn the Portuguese culture. Being one of the easiest languages to learn, Portuguese is a top choice for many college students and travelers. The Rosetta Stone program teaches you the basics and allows quick learning of the program. 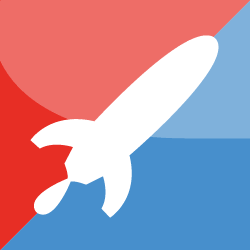 Rocket Russian Review: While we also love Transparent Russian, our pick for the best language learning software for Russian is Rocket Language. Rocket Languages is one of the most popular language learning programs in the world and for good reason, because it works. One reason that so many people love Rocket Language is the ease of use and that they make learning a new language fun. Besides these two important aspects, let’s look a little deeper into some of the pros of the Rocket Language Russian program. Structured Learning: If you are someone that is into structured learning, like traditional language classes, than Rocket Russian is a great choice for you. Much like classroom teaching lessons, students are presented information and graded before moving to the next level. Those who prefer traditional classroom training, feel that Rocket Russian is close to this style of learning. Excellent Customer Service: One thing that sets Rocket apart from many of the other language learning programs is the excellent customer service that they offer. After having trouble downloading some of their programs to a Mac computer last year, I was able to get excellent customer service over the phone in no time. Rocket Russian sets itself apart from some of the other language learning programs due to it’s massive amount of content and the ability to adhere to multiple learning styles. Because the Russian language is a language that is best taught in a variety of ways, Rocket Russian does the best job at reaching each of these various learning styles and needs. Take a closer look at Rocket Languages Russian! Pimselur Spanish review: If you have seen my reviews on the Pimsleur approach before, you know that I am a fan of this system created by the linguist Paul Pimsleur. I feel that because Spanish is one of the easiest languages to learn, that the Pimsleur approach is a good system due to it’s straightforward teaching approach. While no language learning program is “one-size-fits-all” I feel that the Pimsleur approach is the best for those looking to learn Spanish on their own. Here are some of the reasons why I chose this program over some of the others. Lessons are Short and to the Point: Some of the other language learning programs that we have tried feel like they try and cram too much info into a lesson. I feel that the lessons provided by Pimsleur are short and get to the point quickly. Great for Everyday Language: Many of the original software programs were built for people to learn a few Spanish phrases to learn while on vacation. While knowing these may help, it is simply not how the majority of people speak when traveling. The Pimsleur approach teaches the user how to not only speak the language, but also how to listen to others and figure out what they are saying. Great for Employers: Many people purchasing language learning programs do so for work related reasons. Whether they are working on how to speak to businessmen or women from a different country or they work with students or clients who speak Spanish. Unlike some other methods that don’t work on Spanish pronunciation, the Pimsleur approach allows the user to learn everything about the language and thus makes communication easier between parties. Overall we at Languageholic feel that the Pimsleur approach is the best language learning software programs for Spanish. With this approach, users will not only improve their pronunciation in no time, but they will be able to understand Spanish from native speakers with little issue. Like any other reviews, it is important to take the language learning reviews with a grain of salt and find the program that works best for YOU. This involves looking at many factors before making an investment. How much time do I have to devote to learning a new language ? Will learning this language help me advance in my occupation ? Is this language a requirement for my job ? Does the language learning software fit my learning style ? Does this language learning software fit my budget ? These are just a few of the questions you may want to ask and by all means we advise you to thoroughly check Amazon and other reputable review sites before making a decision. Good luck on your journey learning a new language and if you have any other comments, questions or concerns feel free to reach us via our contact page.